Along with two other corruption cases, in which Netanyahu is suspected of bribery, the probes pose a serious threat to the four-term prime minister's political survival. 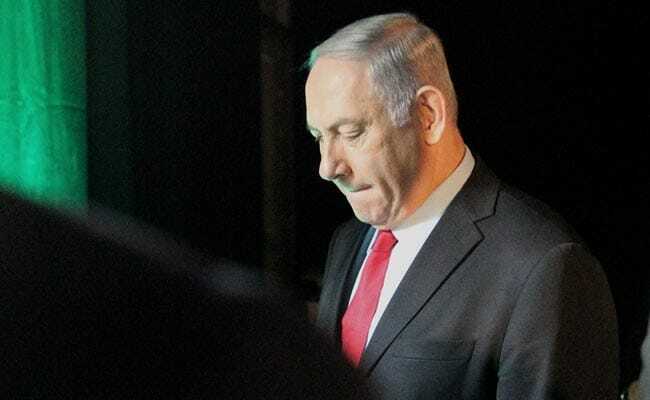 JERUSALEM: Israeli police questioned Prime Minister Benjamin Netanyahu on Friday for the first time in a corruption case that involves the country's largest telecommunications company Bezeq, Israel Radio said. Netanyahu denies any wrongdoing in all the cases. A police spokesman declined comment. A Reuters cameraman saw a vehicle carrying two police officers pull into the prime minister's official residence on Friday morning. Israel Radio said Netanyahu's wife Sara was providing testimony at the same time, at a police station near Tel Aviv. The controlling shareholder of Bezeq Telecom, Shaul Elovitch, is currently in police custody, along with a former Netanyahu spokesman. They deny any wrongdoing. Shlomo Filber, a confidant of Netanyahu and former director general of the Communications Ministry, has also been arrested in connection with the case, and has agreed to turn state's witness, according to Israeli media. Netanyahu, Israel's dominant political figure for a generation - in power since 2009 and for 12 years in total since 1996 - calls the allegations against him a "witch hunt". He has said he will seek a fifth term in a national election due in late 2019. So far, partners in Netanyahu's governing coalition have stood by him, saying they were awaiting the attorney-general's next moves. Political analysts say that could change if the investigations against Netanyahu intensify.